I would argue that understanding what optical satellites do is pretty straight forward. SIGINT is not, and the reason they are dragging feet as much as possible is telling how they work lets people understand and counter it. You kind of know if something can or can not be seen from space and if you should or could hide it ... but if you don't know something is emitting critical data, you can not mask it. The Soviets evidently did know about the SIGNIT program because during the 80s, they switched to using landline cables for communication which could not be read by a satellite. Microwaves were still used for long distance relays. It's way more complicated than that. You are apparently referring to communications. But SIGINT includes detecting radar signals too. Also, if you read my series of articles, you'll note that one of the first communications targets that the Americans went after was Soviet air traffic control, meaning the communications between military pilots and ground controllers. That could be encrypted, but it was radio. I was mostly referring to COMINT and yes, not everything could be converted to landline. As for Ivy Bells, that was a Navy program and had nothing to do with space missions. Yes, some Soviet communications switched from being transmitted to going over landlines. But my point is that there were ways to intercept those communications too. Ivy Bells is one example. And as Jim pointed out, the Soviet microwave communications network continued to exist. This is true, but relatively speaking, it's a lot harder to crack landline communications. For Ivy Bells, they literally had to stick probes on an underwater cable and after a while, the Soviets found out and that was the end of that. Of course you can't realistically do this on land/aerial cables at all. So it's certainly possible to crack landlines, but overall much harder which means you'd on average have more security than with over-the-air communications, although nothing is impossible with enough effort. As for the microwave network still existing, well, that's like I said. Not everything is suitable to landline use. The report was stamped for no foreign distribution “except Canada/UK.” Although it is only a few pages long, it contained significant information on Soviet jamming efforts. It noted that some of the jamming might have been directed at the SA-2 surface-to-air missile fusing system—a subject of considerable interest to the American military because SA-2 missiles had been blowing American combat aircraft out of the sky in Vietnam. Other jamming might have been intended for land-based guided missile systems that could have been fired at invading Soviet forces. The electronic warfare effort was successful, the Soviet invasion took place without a hitch, and the Czechs enjoyed another two decades in the workers’ paradise. The report does not indicate the sources of its information, but because much of the activity took place far inside Czechoslovakia, it seems likely that American signals intelligence (SIGINT) satellites flying over Eastern Europe gathered much of the data. In fact, this would have been an intelligence bonanza for the United States military, because the Soviets understood best how to jam their own equipment, and monitoring what they were doing in Czechoslovakia could have provided information that the American military could use against similar weapons systems in Vietnam. This might be a bit off-topic from the thread title (1960s versus quite recent missions) so might perhaps be moved better to another thread. It is an _excellent_ article. It nicely combines sleuthing, information, observation of orbital positions, but also somewhat delves into political and societal effects. You're a bit late calling for another thread if you see a number of the posts above. On a quick look, the redaction appears the same as the previous version, but the quality of the scan is a lot better. I'm trying to piece together a history of US high-altitude SIGINT, and I'm looking for sources. 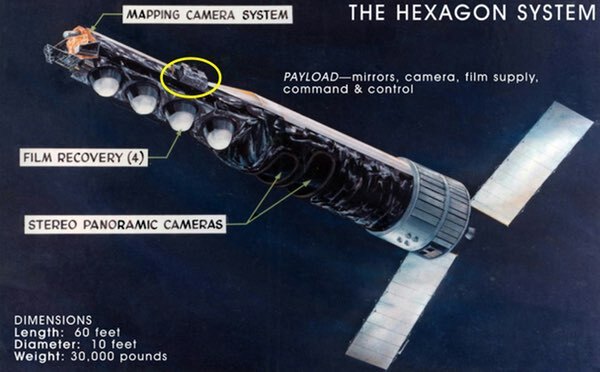 For now I have found a few of Blackstar's articles on LEO systems ("The wizard war in orbit" in the Space Review), with explanation about the US needs in SIGINT (as listed in COMOR memos). I am also looking at Jeffrey T. Richelson's work, mostly "The Wizards of Langley" and his "Eavesdroppers in disguise" article. Also found "The SIGINT Satellites of Pine Gap" by Desmond Ball, which is interesting. Anybody knows about other content on the subject? I just spotted this post. You need to start with the newly redacted version of "The SIGINT Satellite Story." Also the NRO's AFTRACK collection of documents. Both were my sources for "The Wizard War in Orbit" series. There are a lot of documents available on GRAB and POPPY, although you should start with The SIGINT Satellite Story for those programs. If you are interested in aerial SIGINT, I don't know of a single over-arching source. There are a lot of books. You'd also have to look at material produced by The Association of Old Crows. Robert Hopkins' upcoming book on the KC-135 and its variants is also going to be valuable. Thanks. That first link goes nowhere. It covers COMINT against microwave networks, satellite uplinks and missile telemetry. There's also content on technical & operational ELINT against radars. It's meant to introduce the SIGINT targets for a future article on the history of the US high-altitude SIGINT program. Hopefully we did not get too much wrong! I actually published some of this stuff in a couple of articles and in a paper I delivered during the 1990s. We had declassified reports from "Studies in Intelligence" that explained some of the efforts to capture Soviet planetary mission signals. There are more, and interesting, details in here. It's a chronology and draws quite a lot from Blackstar's articles, but also from some Snowden documents. I hope it's mostly correct, but information is hard to come by, so I welcome any comments or corrections. If you read until the end, there is a gif of the whole constellation circling the Earth, it is an impressive sight.